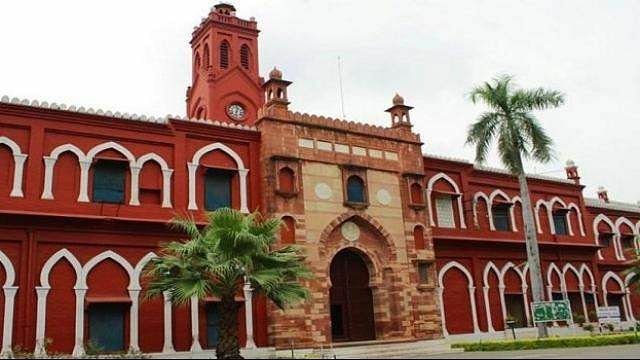 The Aligarh Muslim University (AMU) administration set up a six-member committee on Monday to address the demand of students to have separate kitchens to cater to vegetarian and non-vegetarian students on campus hostels. The university took the step following a controversy kicked up on campus recently when several students with vegetarian food habits opposed the fact that in university hostels vegetarian and non-vegetarian dishes were being cooked in the same kitchen. The issue was raised by the inmates of Sir Sayyad Hall (North) hostel recently. In a letter written to AMU V-C Prof Tariq Mansoor, the students demanded a separate kitchen for vegetarian food and also sought action against the cooks who had been allegedly using the same oil to prepare both types of dishes. According to an AMU source, in the last month end, some senior students of Sir Sayyad Hall (north) hostel got the wind of the fact that the kitchen cook was using the same oil for preparing 'poori-subzi' in which he had fried the chicken a day earlier. A group of students suddenly went into the kitchen to see for themselves and found it allegedly true. This triggered discontent among the students and they approached the provost and the V-C with their complaint. But no action was taken in the matter. Consequently, the students have now threatened to launch an intense agitation against the administration if the arrangements for separate cooking of vegetarian food were not made. In the meantime, Atif Rasheed, a member of AMU court, who visited the campus on Sunday in connection with the election of the chancellor, pro-chancellor and university treasurer, also wrote a letter to the V-C calling the issue 'sensitive'. He urged the university administration to take adequate measures to inculcate confidence among the students that their religious feelings were secured and would not be hurt on campus. He reportedly also suggested the authorities set up separate kitchens for vegetarian food and install CCTV cameras as well to ensure that such a practice was not repeated.